They had the entire 12th floor at their disposal to create an unforgettable scene. 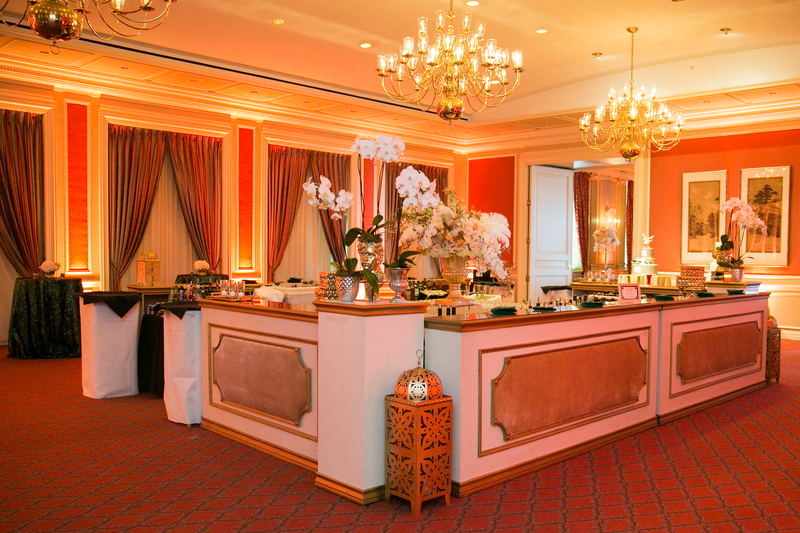 Guests entered through the Sunset and were greeted by a breathtaking bar in the center of the Trinity room during cocktail hour. 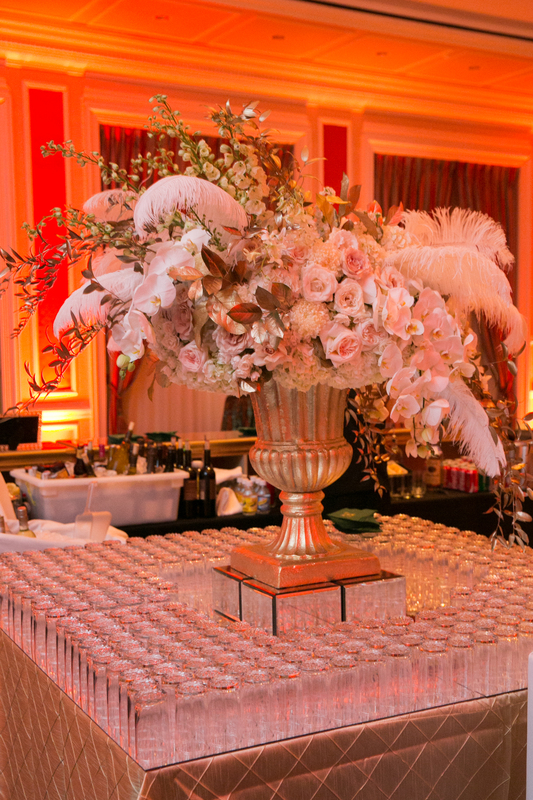 The colors of gold, green, and white played to the jewel tones of the Gatsby era, with feather details added to the floral for extra flair. 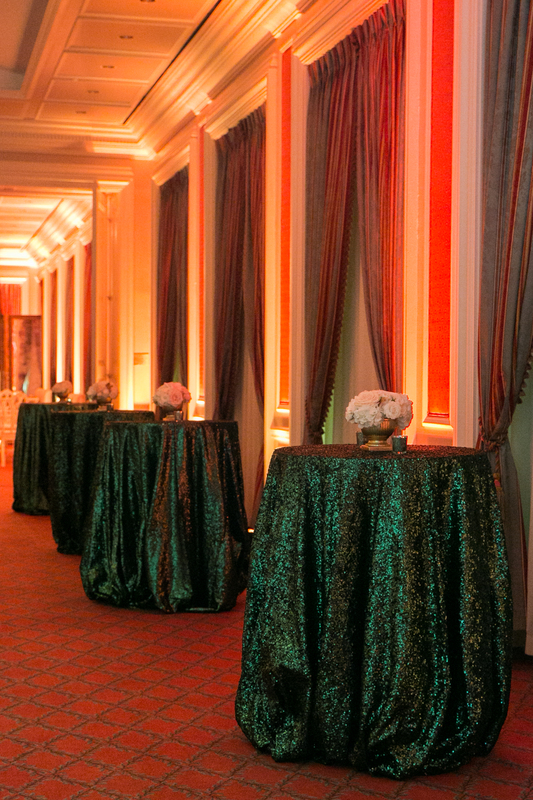 Emerald linens on the cocktail tables, and great gold details at the place settings made all of the rooms come together seamlessly. 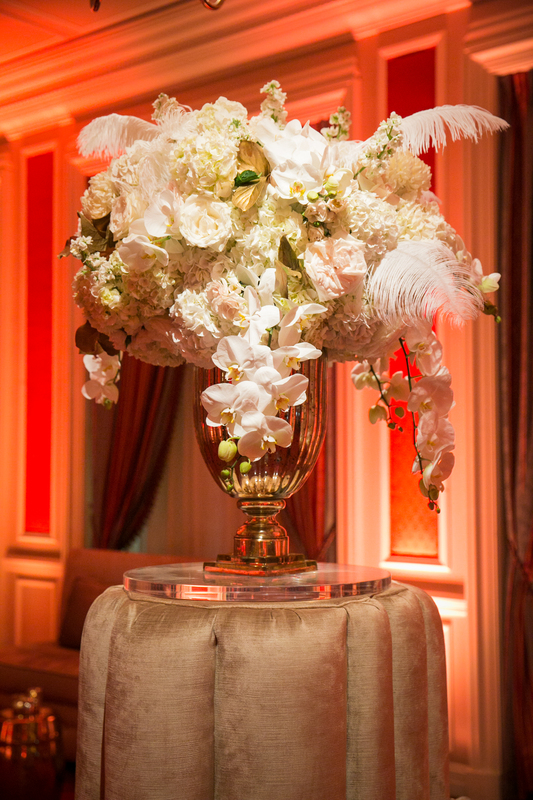 Statement floral pieces throughout the reception space wowed guests with their size and style. 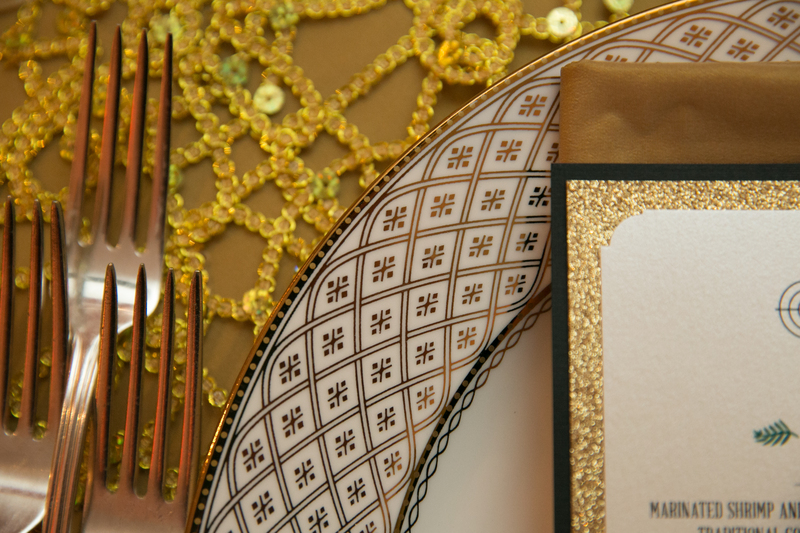 Click through the gallery below for more Great Gatsby details!